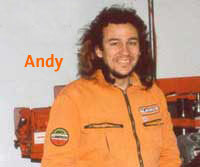 Andy deals with spare parts world-wide and commission the manufacture of non-available parts. Andy accepts your telephone orders Monday to Thursdays 3:00 - 6:00 pm CET. 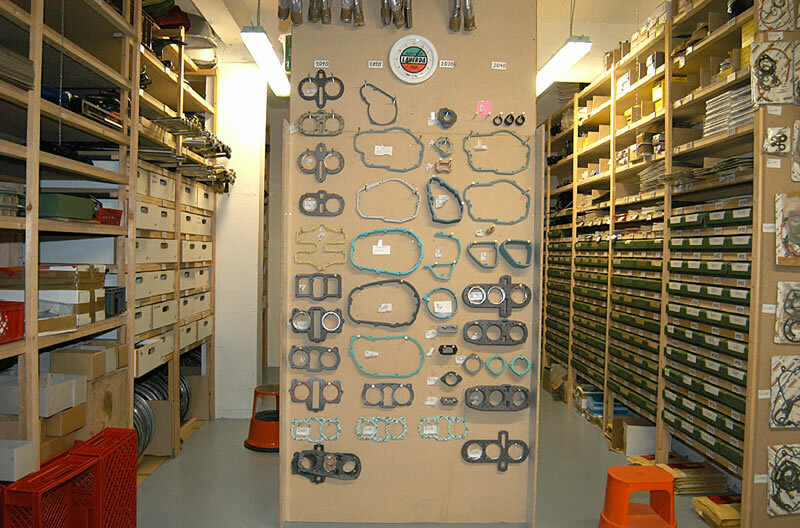 Hundreds of satisfied customers world-wide can verify the reliability of his service. 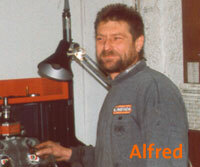 Alfred does the machining work on engine components in his own workshop. Throughout the years of cooperation with Andy, he has delivered good and relibale service. 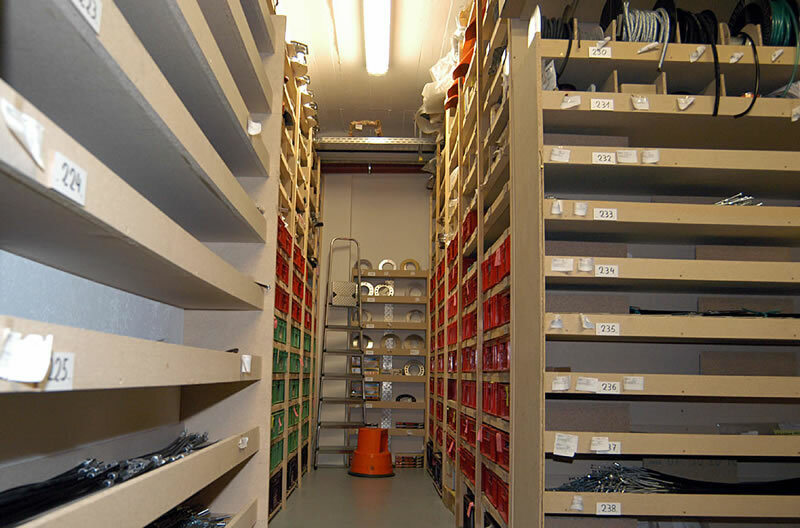 With our huge range of spares on stock and our own machine shop, we arte able to offer an extremely quick turn-around on orders or commissioned work. Alfred’s son Louis - motorbike mechanic, too. 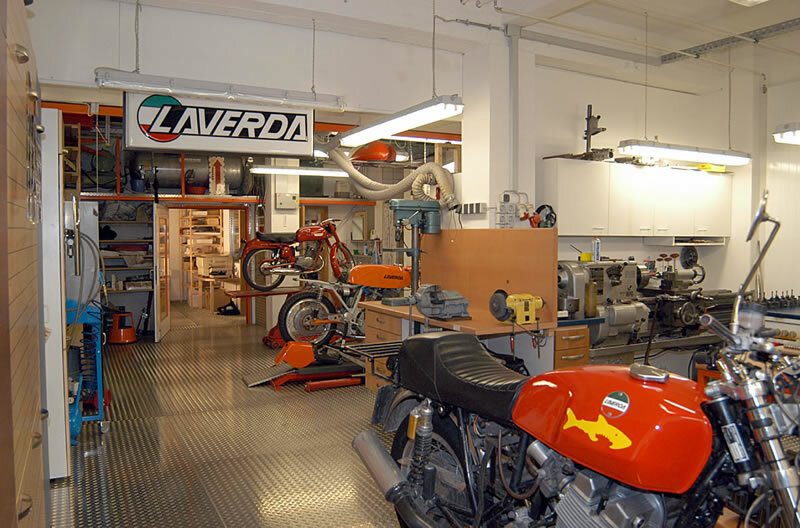 Luis and Alfred are irreplaceable for the Laverda-Paradies, since they do a great job in repairing Laverdas and engines. Through years of experience on the race track with our 750 LAVERDA we know how to handle a Laverda very well. 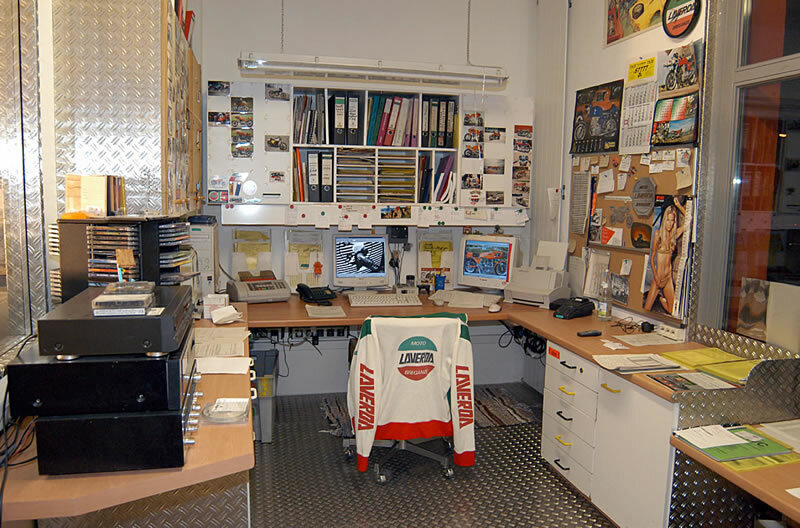 With Guidance and resources we do our best for your and all LAVERDA bikes. Relating to old LAVERDAs 350 - 1200 ccm, we are one of the bigges companies worldwide, with more than 4500 spare part positions. 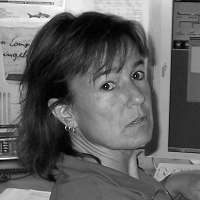 Anne - She ’s been doing our accounting and office work for more than 25 years now. 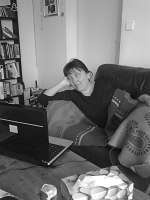 Dagi - our super typist! Nobody faster then her with a keyboard. For many years she’s typed everything for the LAVERDA-Paradies and does some English translations. 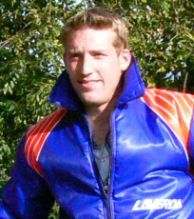 Lots of fun with our website and your LAVERDA! 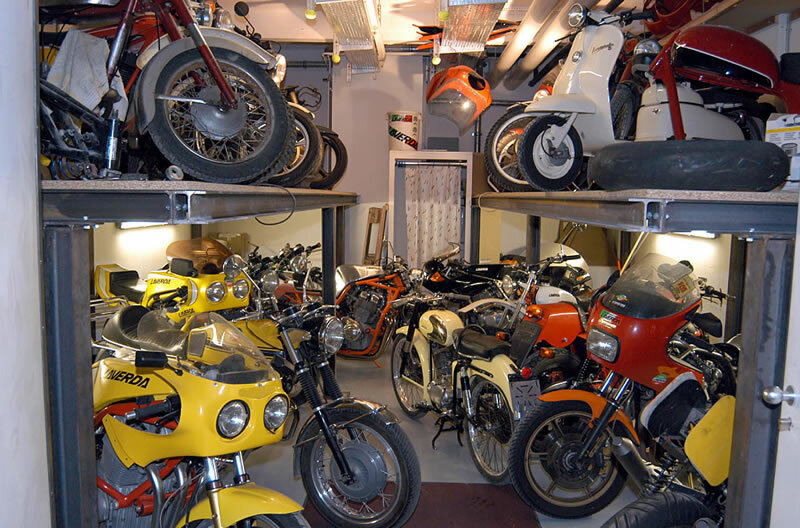 Laverda Paradise Exposition: 28 Laverdas from 1954 - 1983 with 49 cm³ up to 1200 cm³; most of them are driven regularly.